The International Academy of Film and Television Cebu (IAFT Cebu) Filmmaking Program Alumni bagged the top prizes at the CINEFILIPINO Film Festival 2018 awards at the Kia Theatre held last May 12, 2018. Alec Figuracion’s “The Eternity Between Seconds” tops the contenders, winning BEST FILM, BEST DIRECTION, and BEST EDITING as well as BEST CINEMATOGRAPHY and BEST SOUND DESIGN. Eternity Between Seconds is a story about two strangers meeting in Korea and forming an intimate relationship as they bond over their loneliness, conversations and neuroses. It is the comeback movie of Filipino artist, Yeng Constantino, alongside actor TJ Trinidad. Another big winner is Therese Anne Cayaba’s “Delia & Sammy” – a story about an old, faded and forgotten actress, Delia, has to look for family to leave her difficult husband, Sammy, with before she dies. The film won 3RD BEST FILM with its cast veteran actress Rosemarie Gil winning BEST ACTRESS, veteran actor Jaime Fabregas for BEST ACTOR, and Nico Antonio as BEST SUPPORTING ACTOR. The film’s producers Sher Bautista & William Jones, editor Cheryl Centeno , production associate Adrian Jay Latoza and actors HB Benitez III & Christopher Hettel are IAFT Alumni as well. “Hitboy” with Dan Ding Fornolles (Cinematographer) nominated for Best Cinematography. Working with Dan on the film were fellow Alumni Kristine Querubin, Gabriel Foulc, and Jopz Madarang. The film was also nominated for Best Screenplay, Best Supporting Actor, Best Ensemble Acting, Best Actor, and Best Director. The film cast include Adrian Cabido, Soliman Cruz, Mon Cofiado, Rosanna Roces, Rea Molina, Juan Miguel Salvado, James Lomahan, Arrian Labios, Nichol Martinez, Isaac Aguirre, Tony Leyba, DMs Boongaling, Jovelito Avelis, and Teresita Manuud. “Excuse Me Po” with T. M. Malones as its Director of Photography. The film was nominated for Best Editing. The film stars veteran actress Elizabeth Oropesa. Congratulations and keep on making a difference in the world of entertainment!!! Do you have what it takes to be a true Filmmaker? INQURE NOW about IAFT’s Filmmaking Programs. 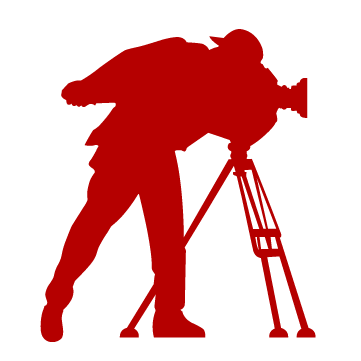 We offer Diploma, Certificate and 10 Weeks Program in Filmmaking. Have the IAFT Advantage! Enroll NOW at IAFT!